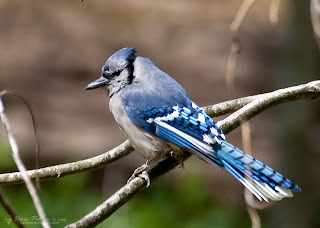 Bird photography is one of the most popular genres of nature photography. This should come as no surprise since birding is one of the world’s most popular pastimes! Birds, by their nature, live in the moment and many have spent a lifetime of moments enjoying them for what they are; harbingers of song and flight, beauty and grace. For many, photographing birds is an extension of a life-long admiration for these beautiful creatures that always entertain with their behaviors and delight with their songs. To see a pair of Golden Eagles scribing easy circles about the walls of Yosemite is, simply, grand beyond words. To hear a flock of Evening Grosbeaks fill the air with their song on a summer eve is one of nature’s most delightful concerts. Bird photography is also a very challenging endeavor, requiring specialized skills and equipment – one does not simply pick up the camera used for family vacation photos and capture compelling avian images. On the same token, having the best possible photographic gear for the task does not ensure success either. It seems the most successful bird photographers are not only skilled photographic technicians, but also have a thorough understanding of avian behavior and habitat. Most importantly, they all have a deep love and appreciation for their subjects. There are almost as many techniques for photographing birds as there are sheer numbers of bird species. The really serious bird photographers devise their own techniques and fabricate their own equipment, using everything from floating muskrat blinds for photographing waterfowl, to artificial lighting and backdrops for photographing hummingbirds, to erecting eighty-foot towers from which to photograph nesting bald eagles. Once you “know your subject” and begin following the ABCs of bird photography, you too will be able to do the same thing. It only takes practice before you will be making impressive images of our feathered friends. There are photography workshops available in Townsend, Gatlinburg, & the Smoky Mountain Park areas throughout most of the year. 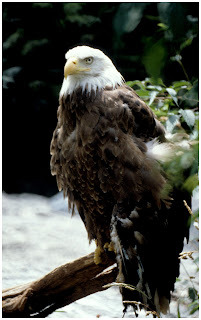 You can do wonderful birding and photography thoughout the Great Smoky Mountain National Park.